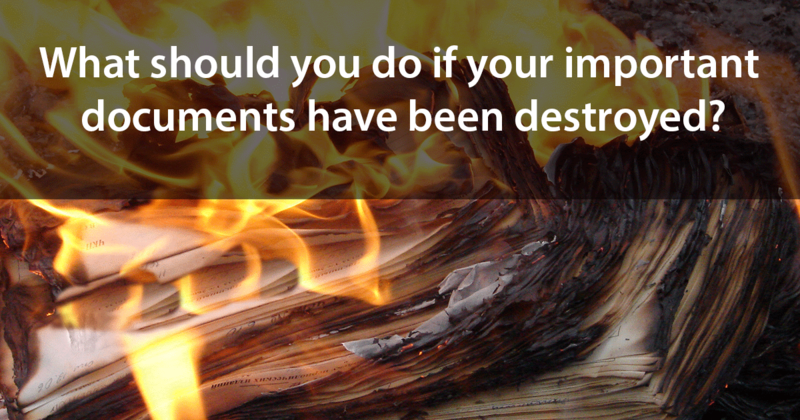 What should you do if your important documents have been destroyed? The recent natural disasters are a powerful reminder of the tragedies that cause us to lose our personal belongings. No matter how much we prepare, disasters like hurricanes, tornadoes, fires, and floods can strike without warning. Sometimes the losses can include sensitive personal documents like birth certificates, social security cards, vehicle titles, and more. In the event of a tragedy, the first concern should be to get yourself and your family members to safety. After safety is no longer a concern, you can assess the loss or damage and begin the process of recovering or replacing your documents and important information. What kinds of important documents can be lost in a catastrophic event? This is not an all-encompassing list, as there are many other documents or photos that you might consider important and have difficulty replacing. However, this is a good list to help you think about what kinds of information you could potentially lose if disaster hits. If you are lucky enough to be reading this and you haven’t experienced any kind of catastrophe, now is the time to work on preparing yourself for the worst. You can begin by using the list above to make copies of all the pertinent documents and storing them somewhere unlikely to be completely destroyed, such as uploading them to a cloud-based document management solution. Storing items in a sturdy lock box or safe in your home is also a good idea, though there’s still potential for that to be lost or destroyed, depending on the event. What can you do if your documents are lost or destroyed? In the event that one or a number of your important documents disappear as the result of some sort of disaster or accident, your first step should be to make a list of everything missing. This includes documents for children or other dependents living in your household. Your next step will be to contact the agencies or services which provided these documents in the first place. Although doing so might seem overwhelming, especially if you’re facing a total loss such as your home burning down, most federal, state and private entities are prepared to offer assistance to individuals in your specific situation. The Federal Emergency Management Agency (FEMA) provides tons of information and resources on its website (https://www.fema.gov) to victims of disasters all across the country, and most states have their own resources. There is a basic list at the end of this article that outlines resources for recovering important documents. When it comes to personal documents, you’ll need to do the legwork to contact each institution or company individually. Natural disasters which displace people from their homes can result in sensitive information getting stolen by looters or people who happen to be in the right place at the right time. Some types of disasters, like floods and tornadoes, can lead to people’s belongings — including those containing personal documents — winding up in different places. As such, anyone who has experienced a loss of their personal documents or any kind of catastrophe which could lead to others getting hold of their information should be mindful of identity theft and fraud. This extends to your children, too, as identity theft is sadly common for those under 18. If you are displaced from your home as a result of a disaster or other incident, it’s important to establish a secure location where new documents can be mailed to you so they don’t fall into someone else’s hands. We can’t always be prepared for every potential disaster, but there is hope for recovering if the worst should happen to your personal information and sensitive documents. Our thoughts and prayers continue to go out to all those affected by the recent natural disasters. If you have any questions about how you can set up a cloud-based storage system and establish a backup plan, please contact XTIRI. XTIRI is more than document storage. 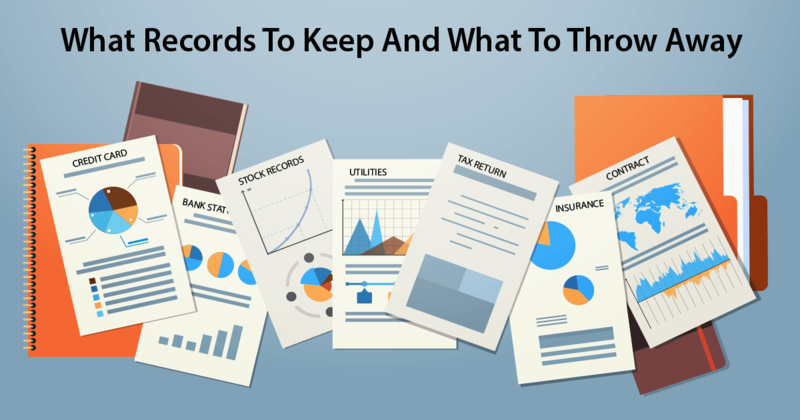 XTIRI keeps your records safe and makes data accessible when and how you need it. Find out how to keep your important documents safe and secure at XTIRI.com or call 1-877-505-9140 for personalized assistance. Contact the Vital Records Office in your state. Contact the 3 nationwide credit reporting companies; TransUnion, Equifax, and Experian. 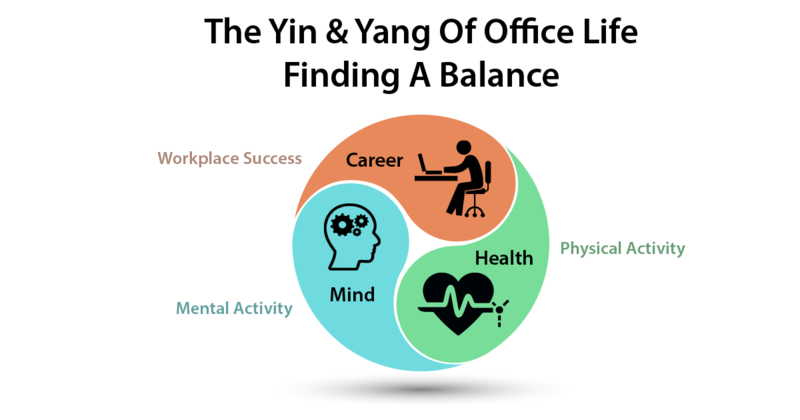 Call your own doctor; medical and prescription records are tracked electronically. 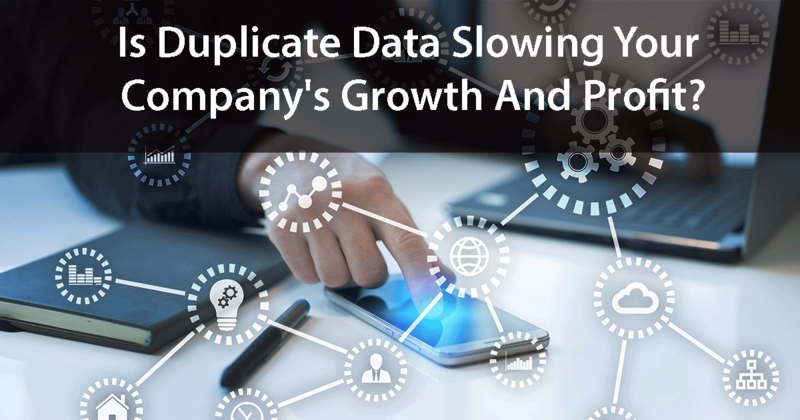 Is Duplicate Data Slowing Your Company’s Growth And Profit?